At last……a completely different pattern for me! A SKIRT! 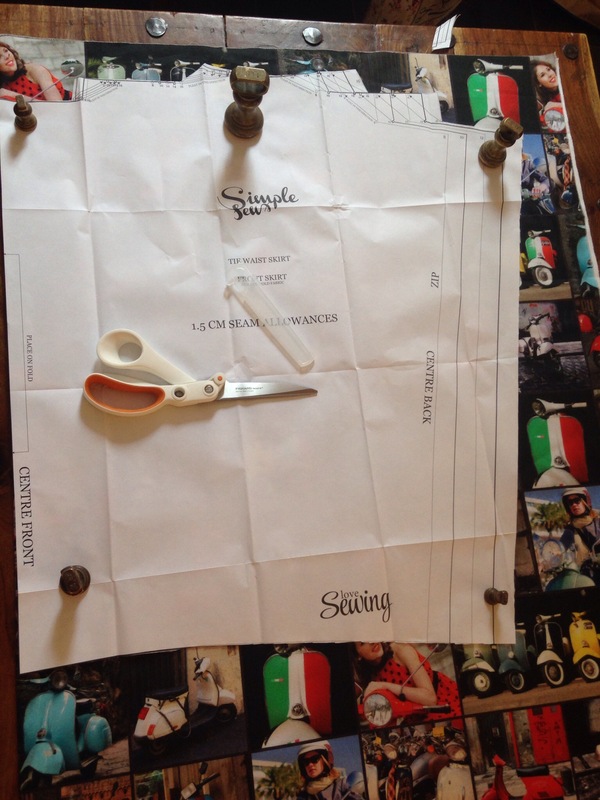 When I bought the fabric for The Cuba I also noticed this amazing Vespa fabric and so had to buy it with the plan of another summer dress. 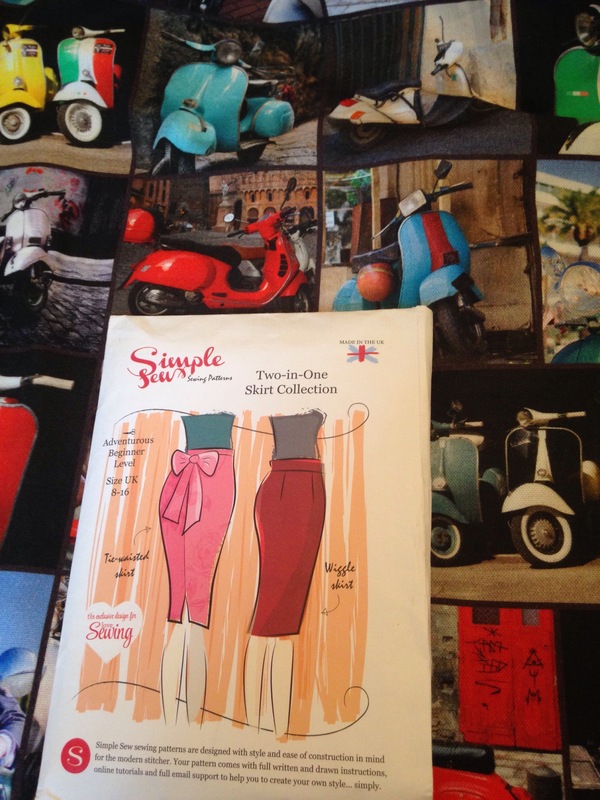 Until………..I spotted this pattern in my box shouting that it needed to be made into a bow skirt! It is another Simple Sew pattern and has an attached bow, I was a little dubious about this as you should not really draw attention to the parts of your body you would prefer to hide. I knew I could go with out the bow if necessary though, or as I found out it looks much nicer on the front! 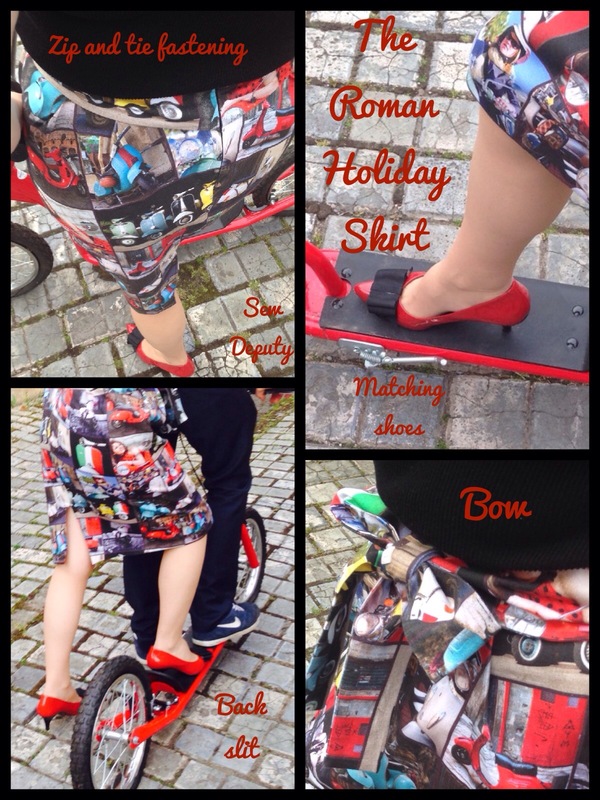 When I mentioned in a blog comment that I had Vespa fabric the reply was to make sure it was a Sew Deputy Roman Holiday……..! The skirt is cut in all one piece and is a gorgeous tulip shape. I can’t tell you how many people I work with wanted me to make one! 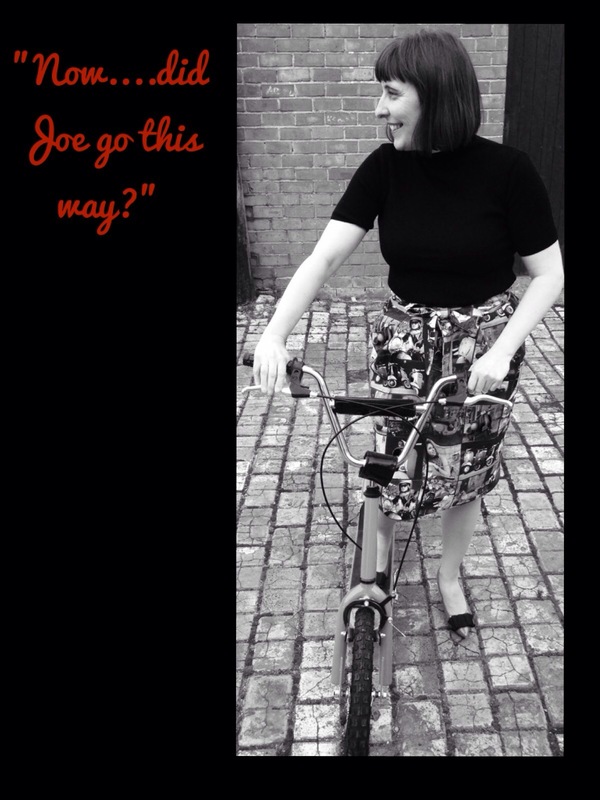 Obviously with a Roman Holiday theme I had to have a scooter and my 22year old son mentioned a while ago he was never featured on my blog! 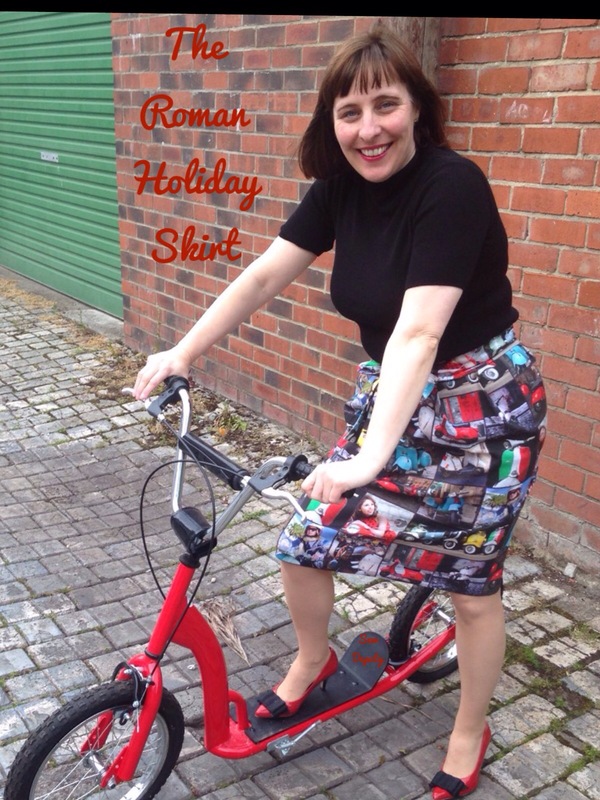 So…here is Sew Deputy’s Roman holiday! We are still laughing about it now! Anyway, must dash!! Pattern: Simple Sew Bow Skirt– I can’t find my exact pattern but these free downloads look good! Wonky Factor: 10/10 I love it! It gets lots of compliments and the photo shoot was the best ever!! Maybe I should get 9/10 as I thought Cary Grant was lead and he turned it down so it was Gregory Peck! Such a fun photoshoot. Goodtimes make for great memories. Luv it all from your cute scooter to your cute shoes and gorgeous skirt. You are all set to point your scooter towards Italy for a getaway. Lovely skirt and great shoes too! Haha! I know! You just can’t win!!! Great fabric! Your skirt is so cute! I’m so jealous! Nice of your son to play along too! Thank you! It was funny! Love the fun photos and love the skirt is so cute. Wild fabric + fantastic skirt = definite success! With those 👠 & your hunky young driver you’re definitely la Italian bomb shell! 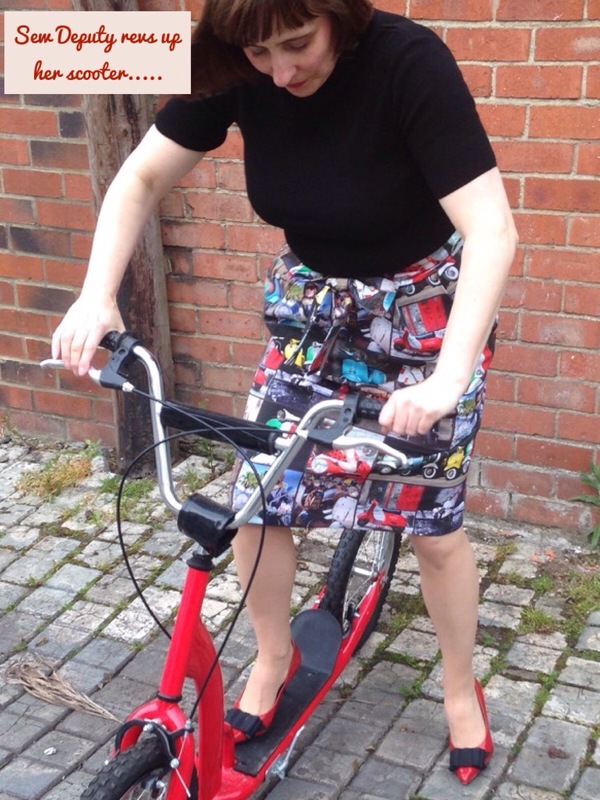 Brilliant fabric and I love the Vespa/Scooter swap for the photo shoot! 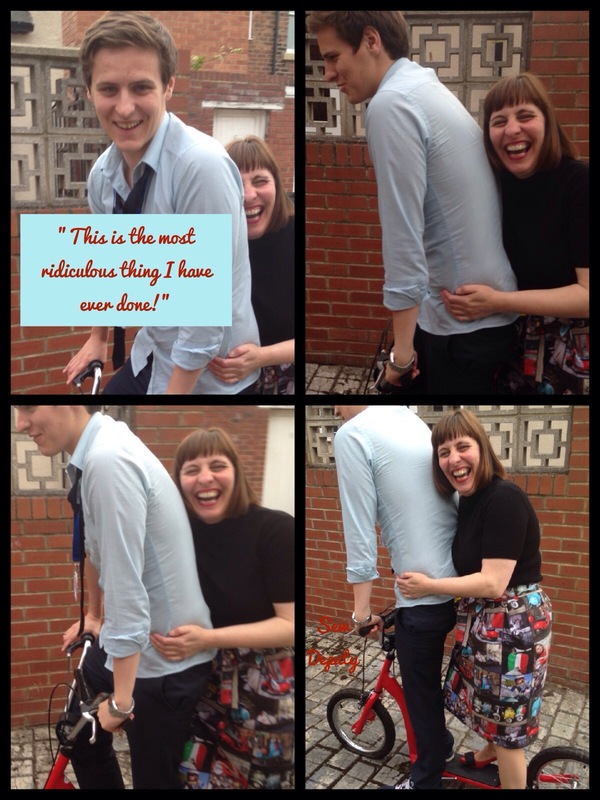 No.1 Son is 22 – wonder if he would be as happy to do this for his mother?! Hahaha. Catch him on a good day ?!? No it’s not a stretch, sort of a heavy weight cotton. Was a good choice for this style as it holds the pleats well. Very nice. It does seem very comfy. Lolololol…..!! I’m still chuckling at your photos! What an ace family you’ve got that they’ll all join in! Wow fabulous skirt! I bet it felt so quick to make as you’re so used to dresses recently?